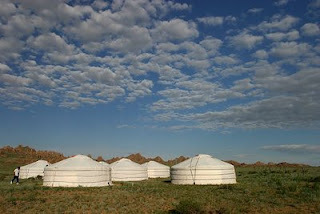 The Gobi Desert, while more well-known in Mongolia, emcompasses both China and Mongolia. 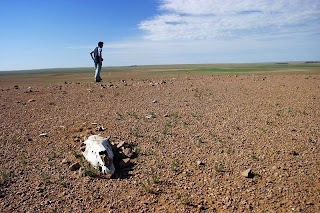 The word gobi actually refers to the rocky gravelly terrain and while that covers most of the Gobi Desert, there are other terrain types such as the steppes and the famous sand dunes. 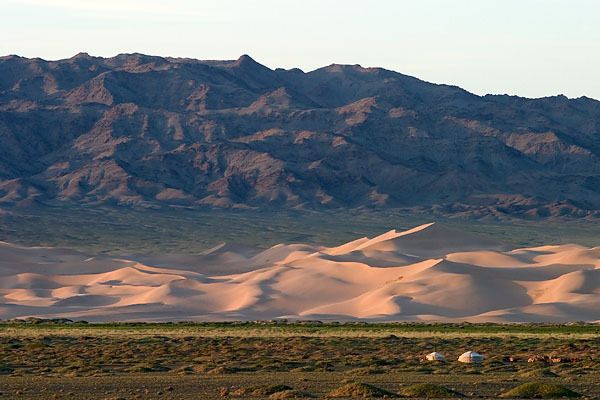 The Gobi is the biggest desert in Asia. Thus travelling in it takes time, and lots of it. Along the way, however, you'll be amazed to see the nomads living in their gher and living in this land for thousands of years. With horses as their main form of transport, and the kind of environment they contend with, you can't imagine the kind of hard life they have been living. 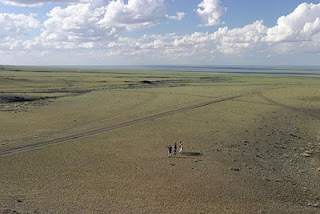 And as you stand in the wind swept plains or steppes, you could really imagine the scale, the grandeur, the enormity of the Mongol Horde. Changing of lens takes extra care. If possible, don't even change lens. If you do, do so within your bag or a trash bag or something. With the slightest breeze, the sand particles will whirl right into your film/CCD/CMOS! Even while taking photos, some photographers enclose their SLRs with rain gear. The sand particles are so fine that they'll squeeze into whatever space they can find. I use my SLR "in the open" and after a while, I can hear grinding sound when I turn my lens zoom! Yes, the sand can even squeeze into that! The sand particles even went into my tripod joints. But unless you don't intend to use the tripod (then don't bring up the sand dune! ), then there's nothing much you can do to prevent that. After the trip, my tripod had to undergo "servicing" to remove the sand particles. Exposure wise, nothing really special. Just note that with the shadows formed by the dunes etc can lead to many interesting compositions. 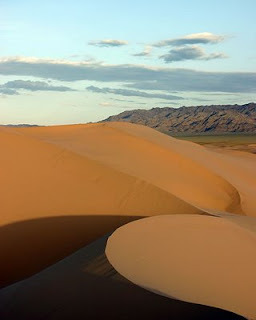 i like the vertical sand dunes pix. :p i think it's really more impressive than india's.dunoe whether it's got to do with the place or the photographer that took the pix.hehe.